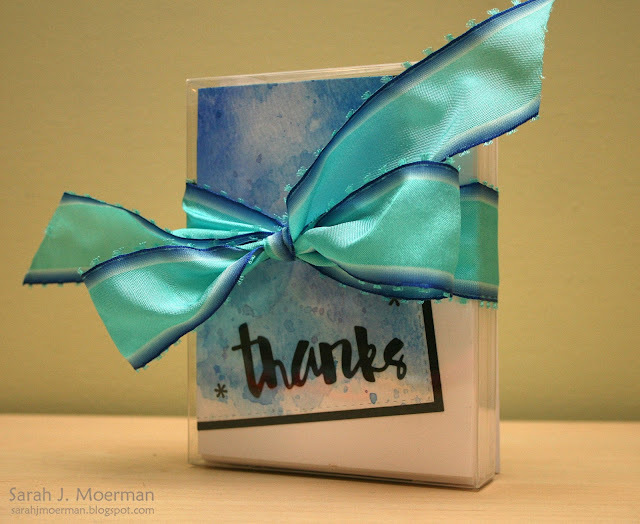 Simon Says Stamp You Have My Heart Blog Hop (with PRIZES)! 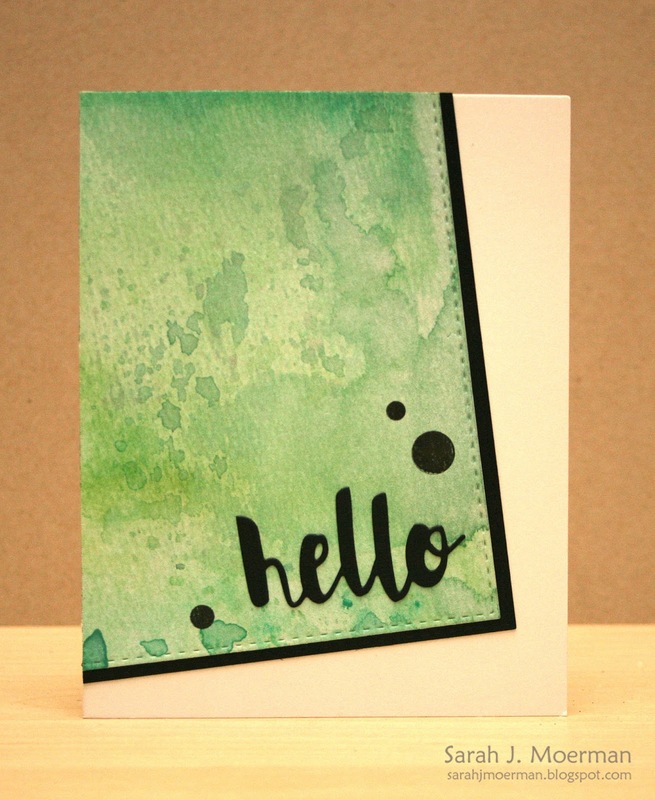 Welcome to the Simon Says Stamp You Have My Heart Blog Hop! You should be arriving from sweet, talented Heather Ruwe's blog. If not you can start the hop HERE at the Simon Says Stamp Blog. The Simon Says Stamp You Have My Heart Release is filled with happy, loving, positive messages and images that are perfect for both Valentine's Day and encouraging cards all year long. 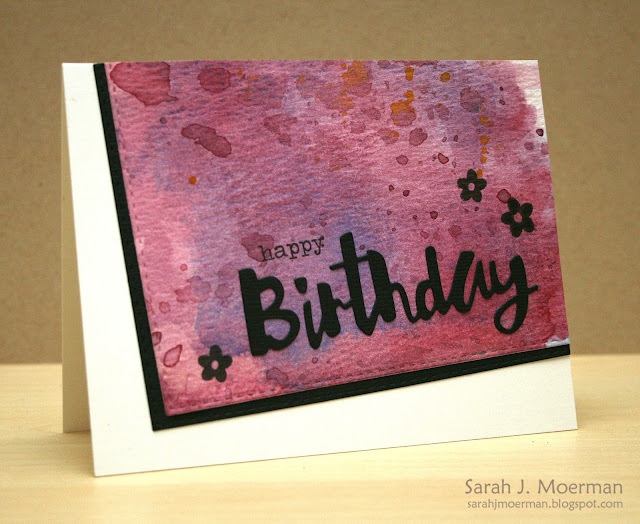 For this first card I stamped the Simon Says Stamp Stepping Stones Stamp with Memento Tuxedo Black Dye Ink using Ranger's Medium Brayer to get a crisp image. 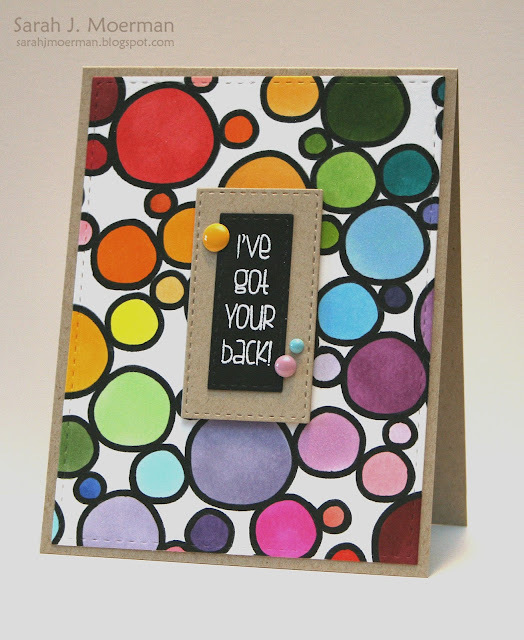 I then used Copic Markers to colour the circles in a rainbow of colours. I die cut the panel using the rectangle from Simon's Bundle of Stitches Dies and adhered it to a notecard made from Neenah Desert Storm Cardstock. 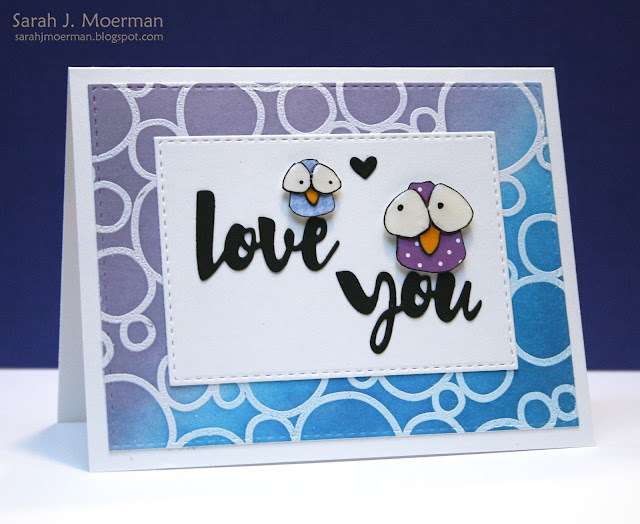 I white heat embossed the "I've Got Your Back" sentiment from Simon's Stacking Animals Stamp Set onto some of Simon's Black Cardstock before die cutting it with the smallest rectangle from Simon's Stitched Rectangles Dies. I then matted it onto some Neenah Desert Storm Cardstock die cut with the next size up stitched rectangle die. I used 3M Scotch Double-Sided Foam Tape to adhere the matted sentiment to my card front and finished things off with a few Enamel Dots. For this second card, I used Simon's Stepping Stones Stamp once again to create my background piece. I white heat embossed the image and inked it up with Simon's Blue Jay and Wisteria die inks. I die cut the panel with the largest of Simon's Stitched Rectangles Dies and adhered it to a notecard made from Neenah 110 LB Smooth Solar White Cardstock. I then used some more of the Neenah Cardstock to die cut a smaller stitched rectangle on which to adhere my die cut Love You sentiment, Mini Heart, and paper pieced birds from Simon's Stacking Animals Stamps Set. I slightly altered the birds eyes so that they would be looking at each other and covered them with Glossy Accents. Their beaks were coloured with a Copic Marker and the birds with popped up on the sentiment with Foam Tape. 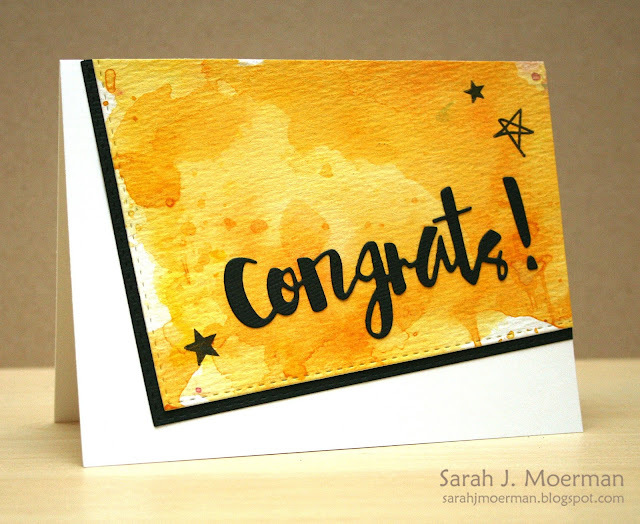 Be sure to comment at each and every stop along the way as Simon Says Stamp will be choosing a winner from each blog on the hop for prize packs valued at about $50! 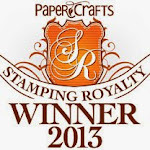 Winners will be chosen this coming Monday January 4th and will be contacted by Simon Says Stamp. Your next stop is the fabulous Lisa Addesa. Simon Says Stamp Card Set and January Card Kit Winner! 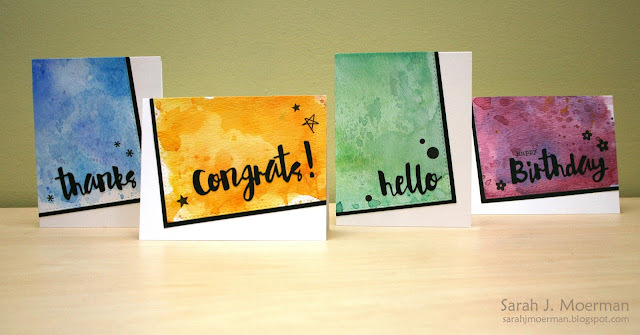 I'm stopping by to share a card set I made using some fabulous Simon Says Stamp goodies and to announce the winner of the adorable Simon Says Stamp January 2016 Card Kit. I made 12 cards total, creating 3 watercoloured backgrounds in each of the 4 colours using Zig Kuretake Gansai Watercolors and Tim Holtz Distress Watercolor Cardstock. Once dry, I die cut them using the rectangle from Simon's Bundle of Stitches Dies and matted them with Simon's Black Cardstock before adhering them to my notecards on an angle. I used each of the 4 Simon Says Stamp 'painted' sentiment dies shown above 3 times, making sure not to repeat any of the colour/sentiment combinations. 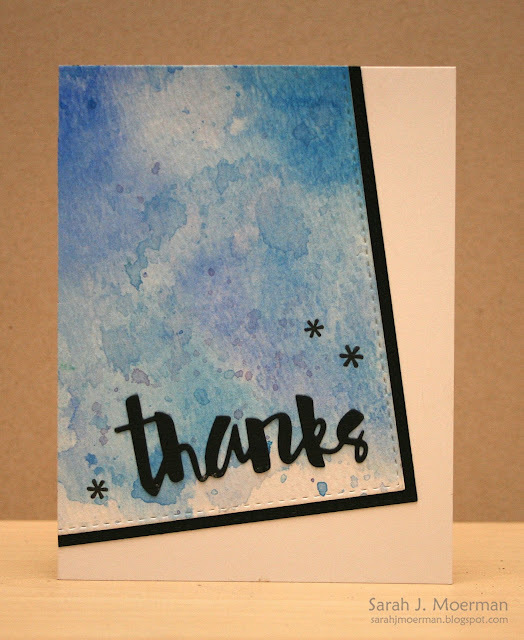 I then stamped the little shapes from various Simon Says Stamp stamp sets with Versafine Onyx Black Ink matching each shape to a background colour. The cards filled up a Clear Bags Crystal Clear Box so I used some pretty ribbon I had on hand to tie some envelopes in place behind the box. Congrats Karen! 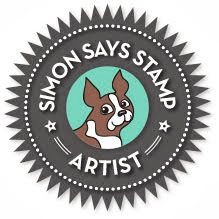 Please email me via the sidebar email button with your mailing address so I can pass it on to Simon Says Stamp!